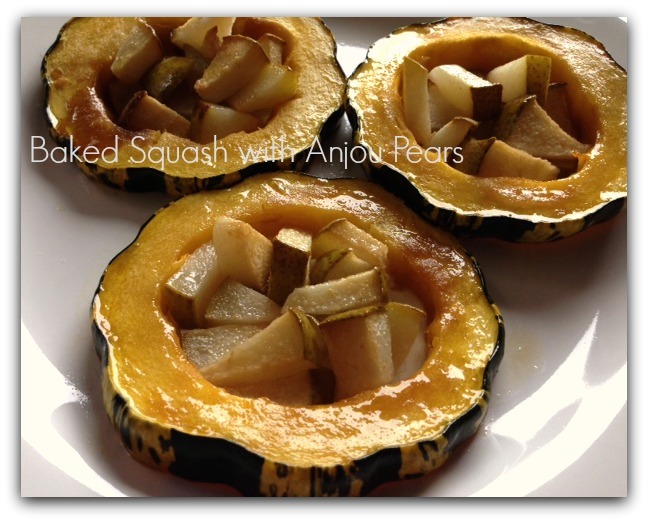 Baked squash with fresh picked Anjou pears – a perfect combination to welcome autumn’s arrival. Winter squash is at it’s peak in markets around the country in late summer and early fall; this is the perfect time of year to incorporate this nutrient rich, delicious vegetable into your menu. It can be incredibly versatile – perfect in sweet pies, savory side dishes, as a hearty salad topping, even used as a bowl for fall soups. We feature the winter squash varietal known as carnival squash in this post, beautifully colored in shades of gold, orange, and green, eye catching with it’s stripes and spots. The meat inside is yellow and sweet, tasting a bit buttery and nutty when cooked. When picking out a winter squash, look for one free of moldy spots, and a hard, not tender skin. While perusing a local farmer’s market, we picked up fresh Anjou pears too – sweet, with a firmer texture than a Bartlett, which makes them a superior choice for cooking. 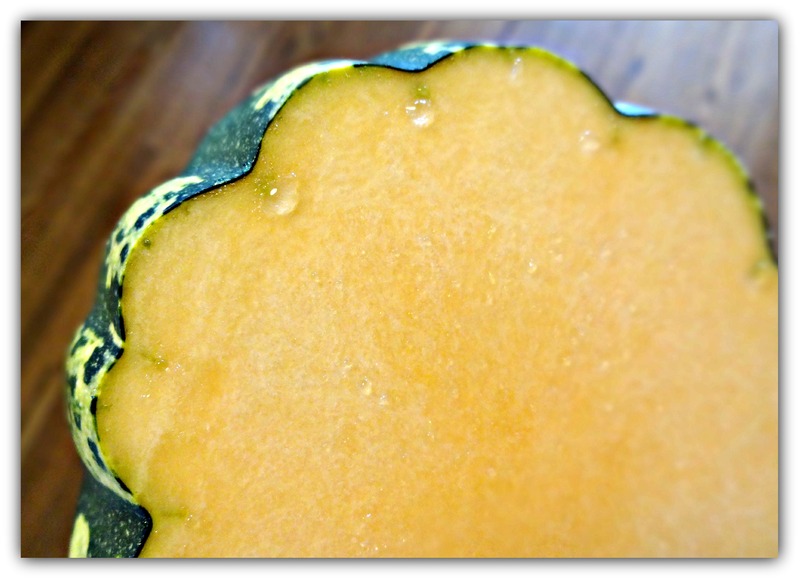 Remove top and bottom ½ inch from carnival squash. 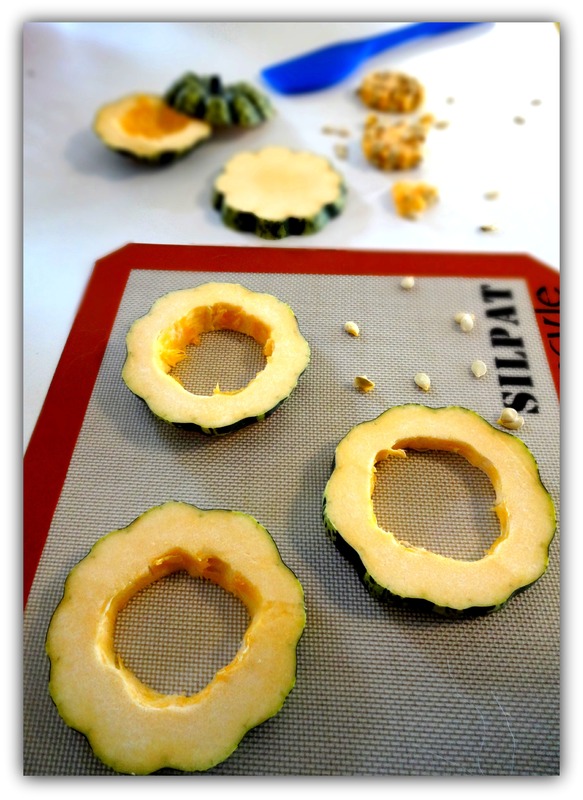 Slice remaining squash horizontally, into 3/4 inch thick slices. Remove seeds with a hard edge scraper. Place on baking sheet; using a Silpat mat is ideal to enable the squash wreaths to lift easily after baking, but you can make this dish without as Silpat too. 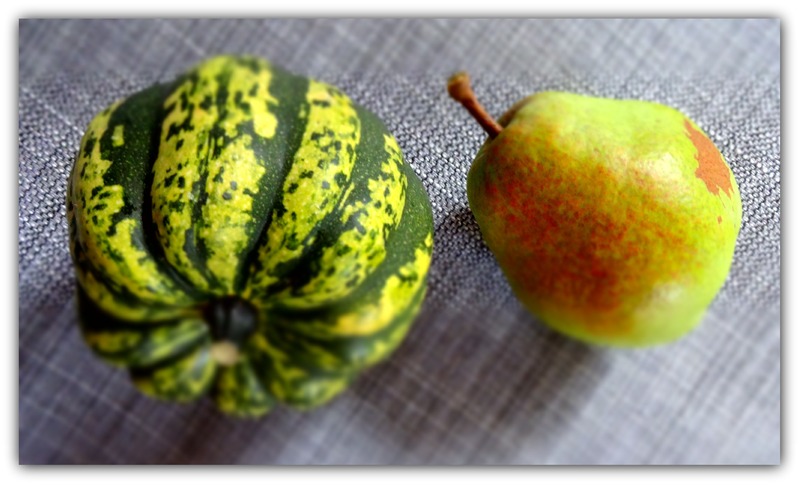 Slice and remove the core and seeds from the Anjou pear. Chop remaining slices into 1 inch pieces. 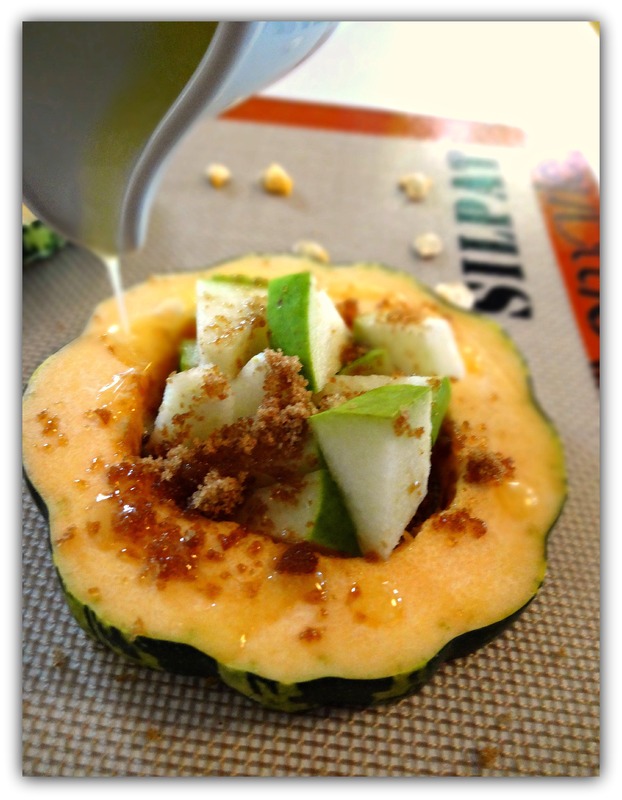 Fill each carnival squash rounds with chopped pear, and sprinkle with brown sugar. Please in oven at 350 degrees, for 40 minutes. Serve! 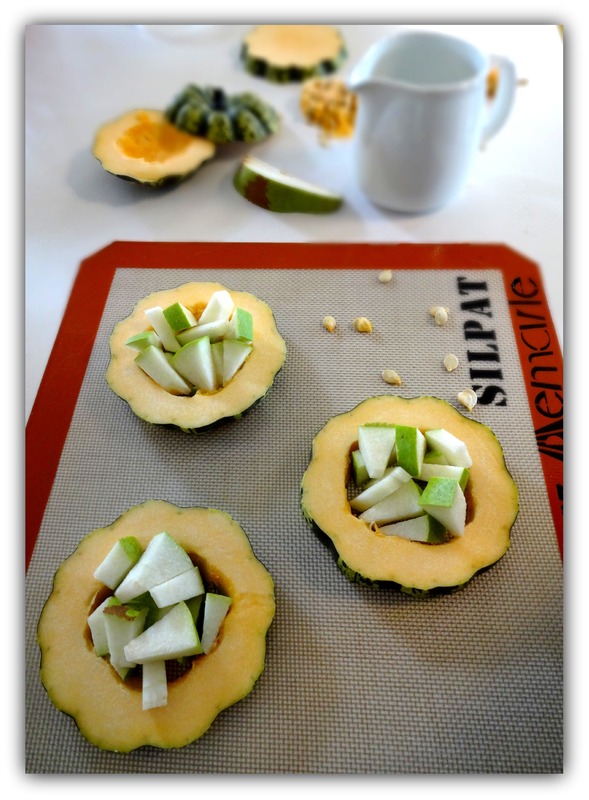 Ideally, use a wide, flat spatula to transfer the squash wreaths to serving plates. 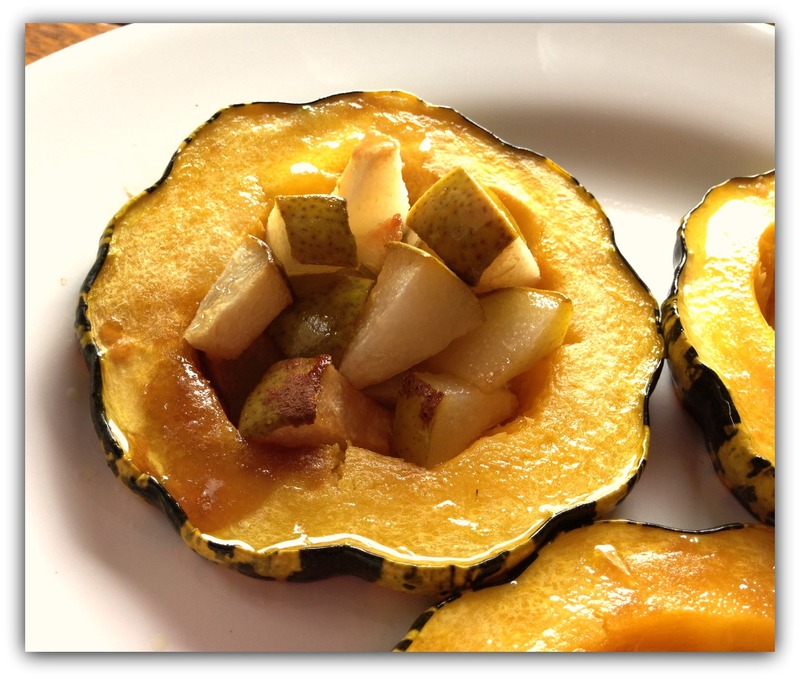 This entry was posted in Cook - Recipes from Friends and tagged Baking, Fall Recipes, Pears, Squash, Thanksgiving Recipes, Tools Exclusively from HIC Harold Import Co. on September 6, 2013 by HIC, Harold Import Co..